Border Skip Bins and Bin Hire Tweed Heads & Gold Coast provide a cost effective superior Skip Bin and Waste Management Service the NSW / QLD border region with a range of Bin Hire and Waste Removal services designed to save you time and money. In fact you can make huge savings in separating recycling waste by ordering individual bins for each type of material to be recycled. For more information click HERE to visit the FAQ page on our website. 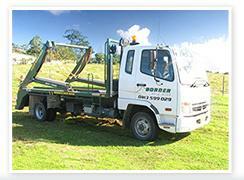 For Skip Bin & Recycling quotes, prices or bookings contact us on (0413) 599 029.